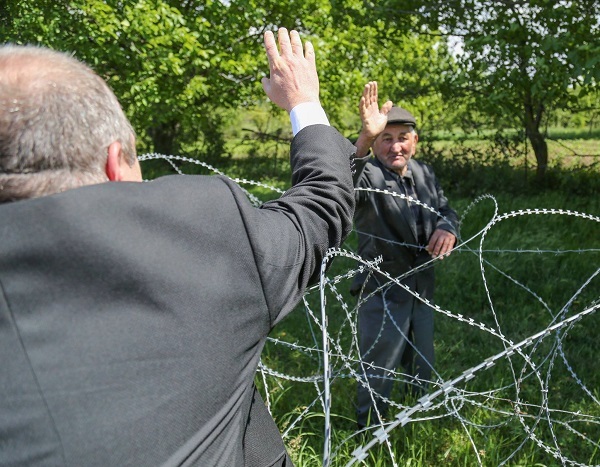 ﻿ Georgian, Slovak Presidents visit barbed-wire divided village - Anping County Zhuoda Hardware Mesh Co., Ltd.
Today the presidents of Georgia and Slovakia are visiting the Administrative Boundary Line (ABL) which separates breakaway Tskhinvali (South Ossetia) region from the rest of Georgia. I want to thank Slovakia's President Andrej Kiska who came here to see the historic injustice on Georgian soil with his own eyes,” Margvelashvili said. President Margvelashvili and Khurvaleti village resident. Photo by the President's webpage. I am sure the wall erected by occupants will be destroyed like the Berlin Wall and we will be able to give a friendly hand to our citizens, both ethnic Georgians and Ossetians , and help them settle the problems they are facing currently,” Margvelashvili added. 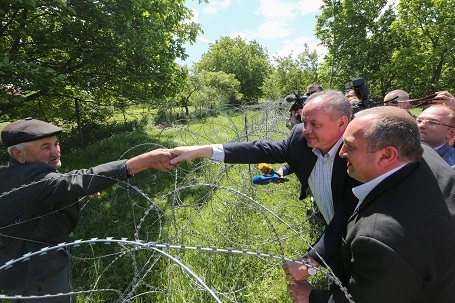 The Georgian President informed his Slovak counterpart about the problems of the Georgian citizens leaving near the ABL and continuing violations of human rights in the occupied area. 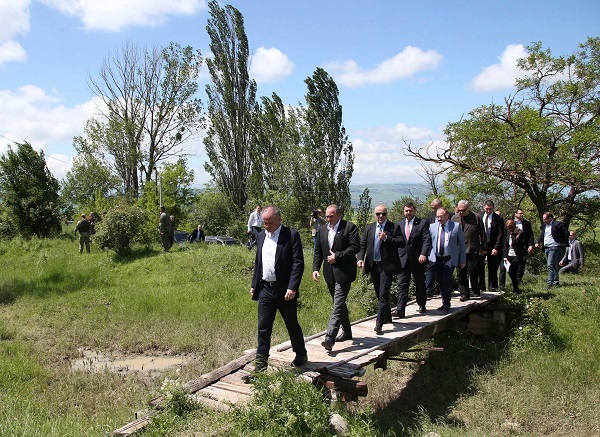 Georgian and Slovakian Presidents in Khurvaleti village. Photo by the President's webpage. Slovakia's President arrived in Georgia on May 30 for the first time since Georgia gained independence from the Soviet Union in 1991. The Slovak official has already held several high ranking meetings in capital Tbilisi. He was scheduled to leave Georgia on June 2.